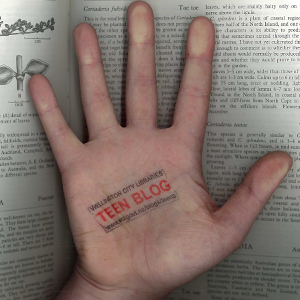 YA Central is the name of Penguin publishing’s online content for teens and readers of YA fiction. They have interviews with authors (videos, no less) such as Laurie Halse Anderson (and here), John Green, and Lauren Myracle. Access to other author interview videos, book trailers and behind-the-scene footage is promised. It’s part of The Publisher’s Office, Penguin’s online periodical, which is full of all kinds of stuff – web 2.0 at its most literary.